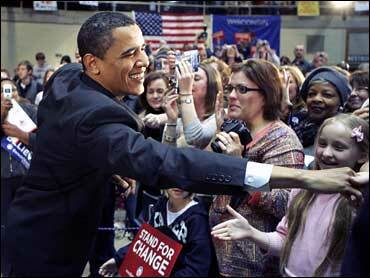 In these uncertain times, the relatively new Sen. Barack Obama has become America's "change" candidate. But how different in real terms is the Obama candidacy? Obama's father was from Kenya, and he grew up for a time in Indonesia. But, otherwise, Obama was raised by his white mother and grandparents in a middle-class suburb in Hawaii - a unique upbringing in the 1970s but hardly so in today's multiracial and itinerant America. At private school, he was sometimes known as Barry. Perhaps had he taken the name of his maternal family who raised him - Dunham - a Sen. Barry Dunham of mixed ancestry from Illinois would now not be causing quite the same sensation. Indeed, a Sen. Dunham may have been viewed as a minority candidate to the same limited degree that a similar staid-sounding Gov. Bill Richardson resonated as a Mexican American. True, many blacks may have voted for Obama because he's a gifted charismatic role model and in belief that his agenda will offer welcome change. But he apparently has far less appeal to other minority groups as a grassroots alternative. Both Hispanics and Asians have voted against him in large numbers. Take away the exotic name and Sen. Obama's early background is not all that different from millions in an increasingly racially mixed and diverse America, in which a woman, a Latino, an Italian-American, a Mormon, a popular TV actor, and a 71-year-old all ran for president this year. Three of these candidates also survived cancer. Obama's later Ivy-League education and political career resemble those of many elites in both parties. While Sen. and Mrs. Obama lecture, in populist fashion, about the burdens of school loans, they are really talking about paying off their two Harvard Law School tuitions, degrees that are not typical of struggling students, but instead government-guaranteed investments in the good life - as their 2006 joint income of nearly a million dollars attests. Of course, from the little we know about his vague proposals, Obama certainly seems to offer a different choice from the current administration: quick withdrawal from Iraq, formal talks with Iran, and essentially a worldwide conference with the Muslim world to iron out our differences. At home, Obama sometimes advocates repealing the Bush tax cuts and raising some revenue through higher taxes - all to pay for vague Great Society government programs for the middle class, students, and the poor. But few could list many key differences between Obama's platform and Hillary Clinton's views. Where did we get the notion that Obama is the avatar of change? The answer is again not just that he is part black. (A Jesse Jackson or Al Sharpton, for example, would go nowhere.) Or that he has new policies or ideas. In fact, to the extent Obama has laid out any details of a program, they aren't any more novel than those of his rivals. Instead, he is the change candidate for two simple reasons. First, Obama is fresh, without the albatross of a long political career around his neck. We know little about him - and too much about the others. The more he sticks with generalities, the less he offends particular constituents - without having to make tough choices that day after day might keep offending 49 percent of the electorate. Second, Obama is a stylish, inspirational speaker - a sort of elegant Adlai Stevenson of the 1950s and the hip, young Gary Hart of the 1980s all in one. He is wonderful in repartee, smart, full of good grace - and without the shrillness of Clinton, or the occasional temper of John McCain. If anything, Obama resembles the handsome, well-spoken Robert Redford character Bill McKay, of the 1972 movie The Candidate, but updated for the new millennium: brighter, more charismatic, and multicultural. In these divisive times of war and economic anxiety, a tired public apparently wants someone hip, upbeat, reassuring in talk, and fresh in spirit, but not too specific in prescribing any painful remedies for our various maladies. As it turns out, there are not all that many handsome, young natural speakers, with a hint of mystery and the promise of racial harmony - at least none who speak inspirationally, respond to criticism with humor, and are genuinely nice guys. At least in that cosmetic sense, Obama really is a rarity - a pleasant change in other words from what we're used to seeing and hearing, past and present. If Obama can translate all that into true leadership and effective policy that would be real change. If not, we'll be asking the same question posed by Robert Redford's character Bill McKay to end The Candidate: "What do we do now?"